Dr. Mitra Honored by May Joe Petty of Worcester, MA - Joy Guru, Humanitarian Services, Inc.
Dr. Mitra was honored with ACHIEVER’S AWARD at the 4th. Black Tie Gala Event by The Odd Fellows Home in Worcester on March 30th. After the honor, Mayor Joe Petty proclaimed March 30th . 2019 as “DR. 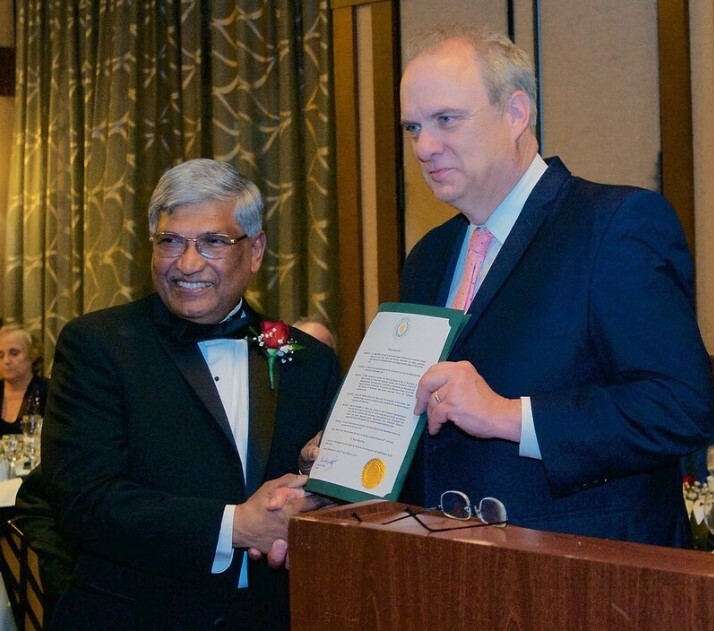 SATYA MITRA DAY” for the City of Worcester and its residence for all his hard work and contributions to the community.